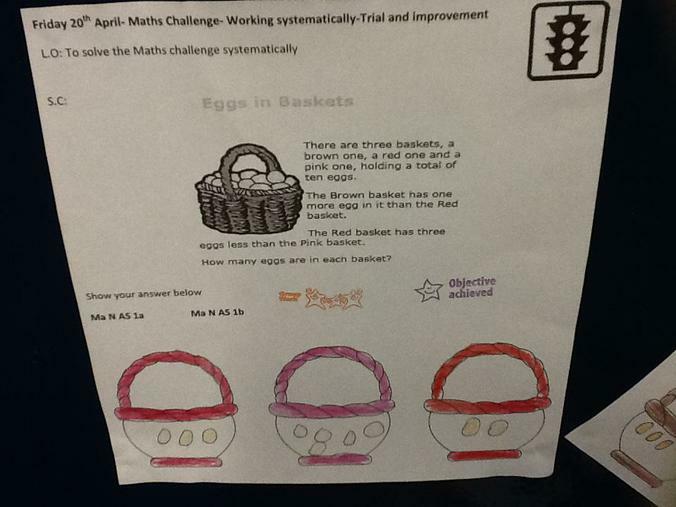 This week we did our Mathc challenge independently. 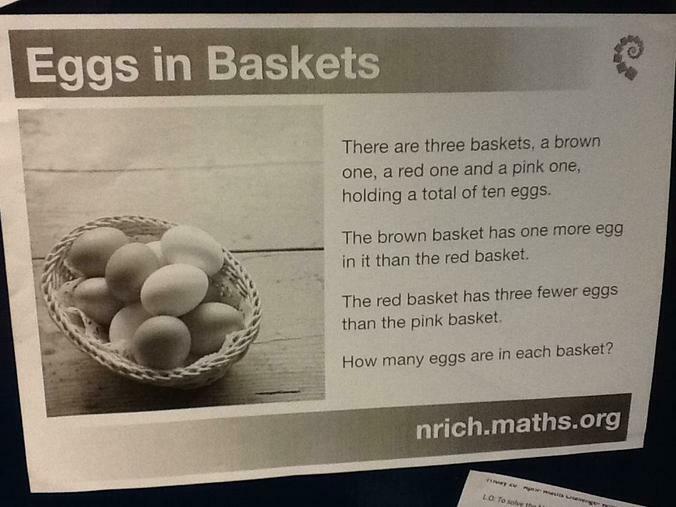 We had to work out the missing numbers in a sequence and then think which rule we had applied to it. 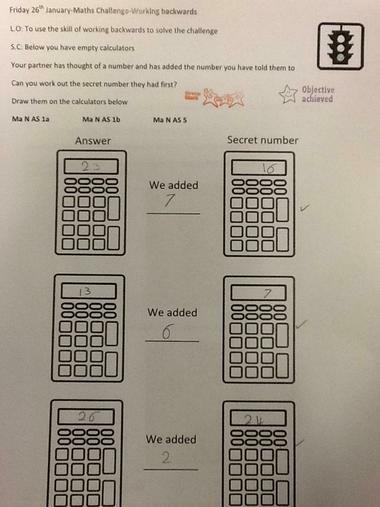 This week we had to have a go at finding the secret number. Miss Tuplin and Mrs Martin role played this first to demonstrate and then we had our own go. 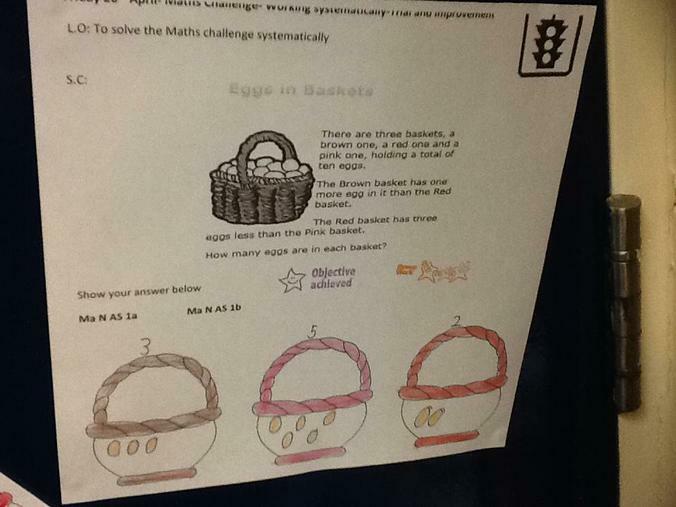 Some numbers were a real challenge! 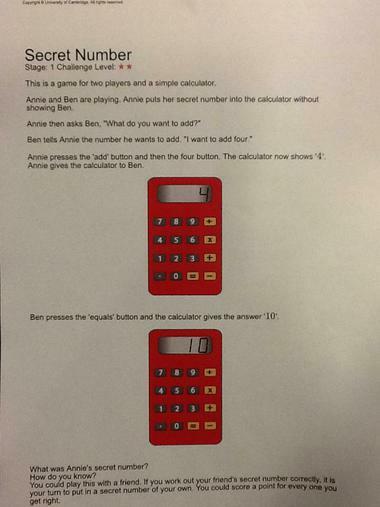 Our first Maths challenge for Summer term had a big problem to solve. 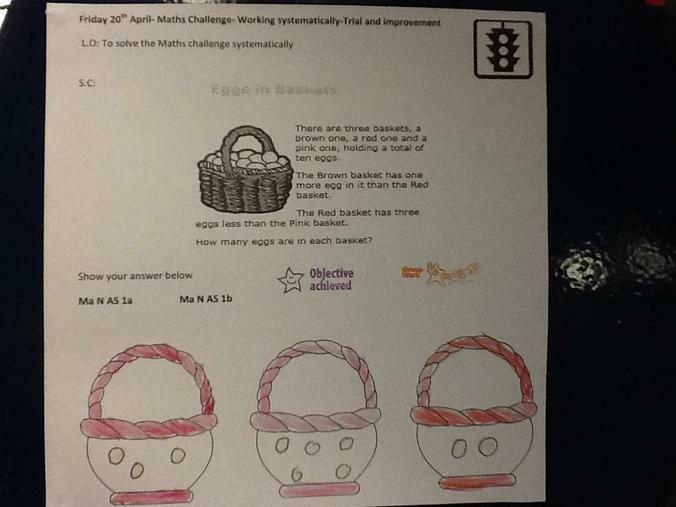 There were some eggs and baskets and we had to work out how many went in each basket after reading the clues. Look at our answers!